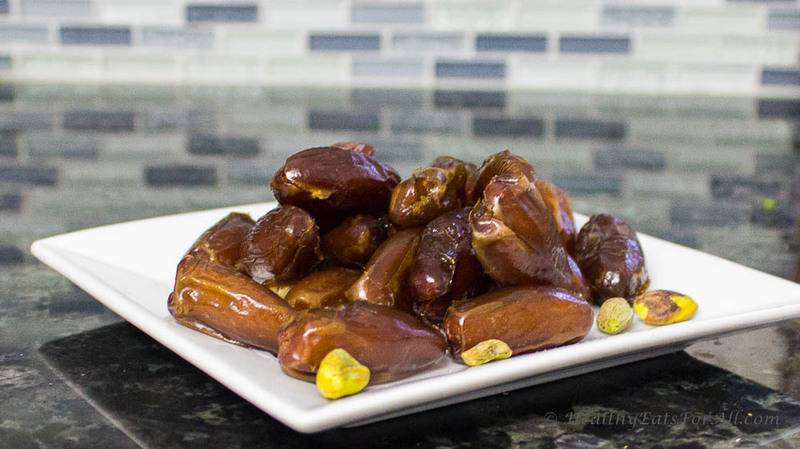 Make sure you choose some nice plump, soft pitted dates. 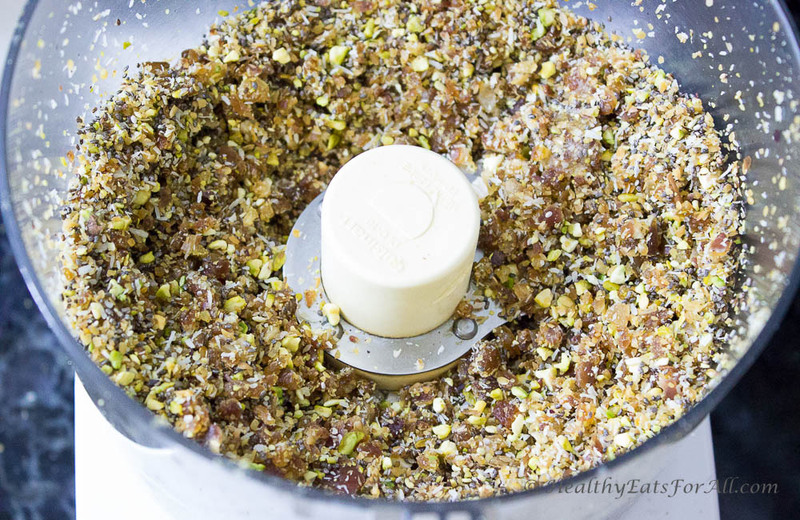 Add the pistachios; coconut and flax to the food processor first, give a few pulses. Add the dates then. Pulse till it becomes a fine crumbly mixture. 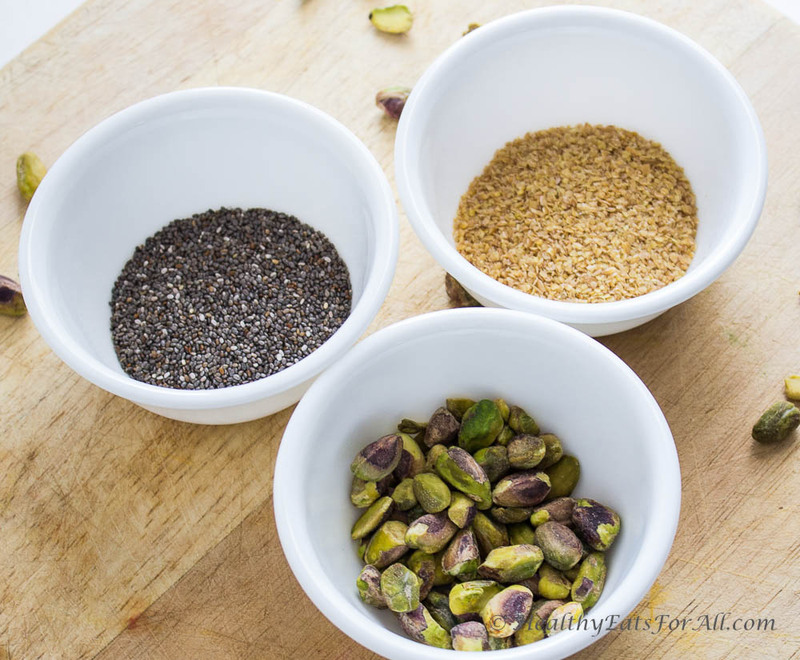 Add chia seeds at end and pulse for once or twice to incorporate it well into the mixture. 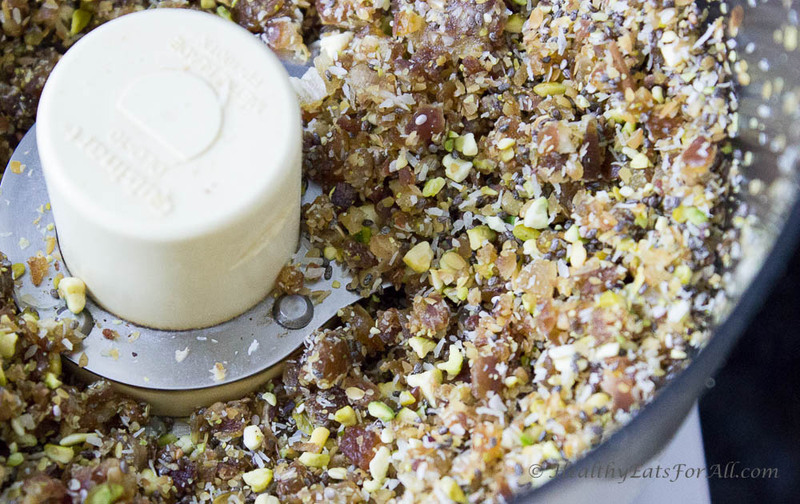 Scrape out the mixture into a bowl. Wet your hands with water and knead it with your hands till sticky. To the point that if you make a clump of it with your fist it won’t crumble. Make small approx. 1” balls and keep on a tray/plate. OR you can make 2 logs of the entire mixture. 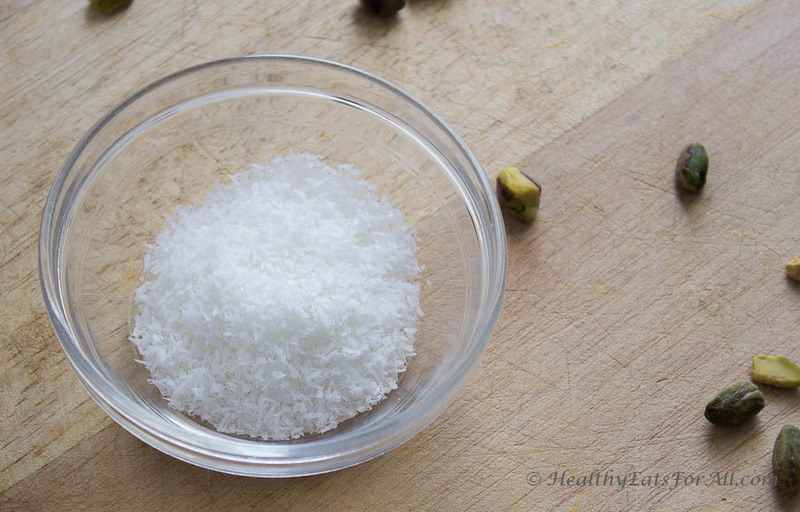 Put the 2 T powdered coconut that is left in a shallow bowl. Roll these balls/logs in that powdered coconut. Keep them in fridge for ½ hour to set. If you made logs, then after they have chilled in the fridge, you can cut slices. 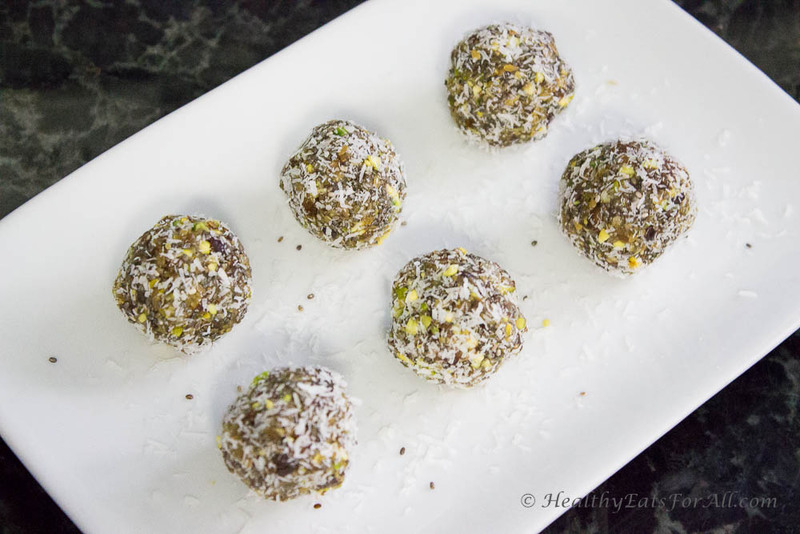 The 5 ingredient, no bake energy bites are ready to eat! Enjoy! This recipe has been submitted in the Treat Petite challenge. Thanks for taking part in Treat Petite Manpreet. 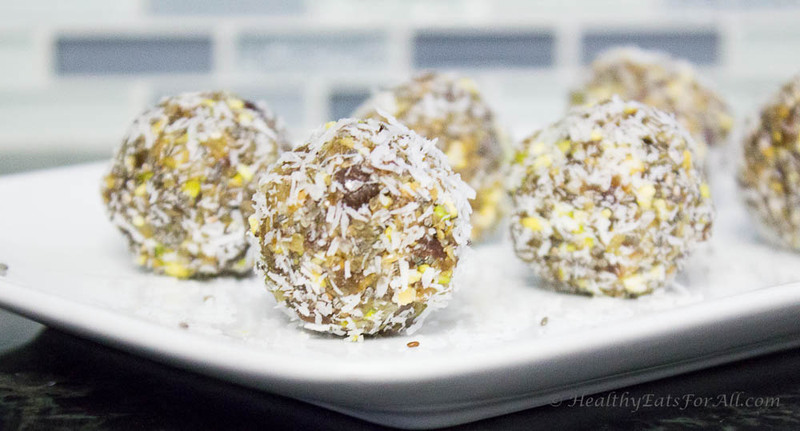 I love these healthier no-bake bites! 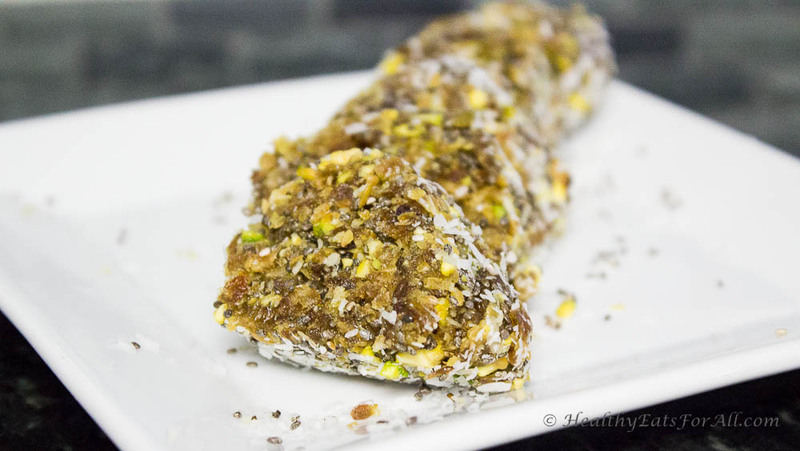 These would make perfect in the car – on the way to work in a rush – breakfast bites!! Nice!!! 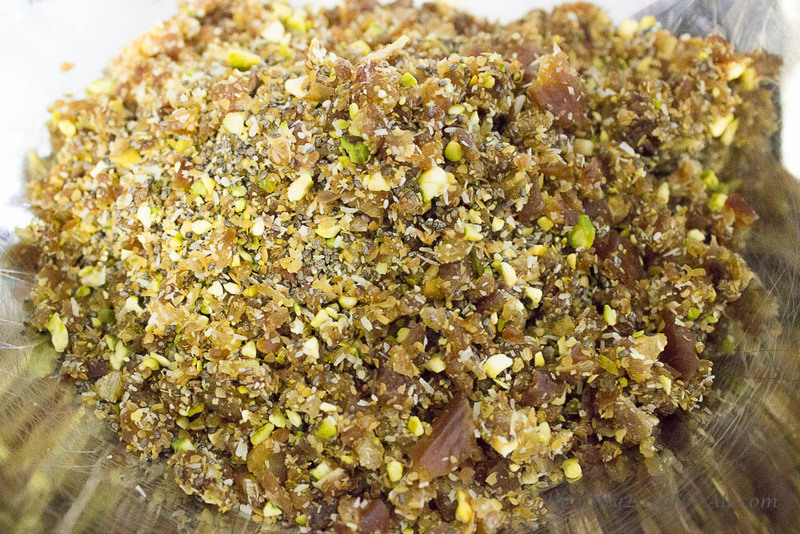 Manpreet, we loved this recipe. Now Jasmine will find something to eat healthy before I come back from school. Thanks a lot for sharing! !